Welcome home to Highland Haus! 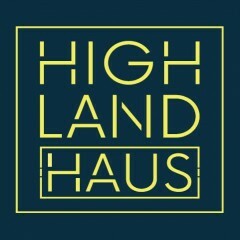 Built for those that love life in the city, Highland Haus is located in the heart of Highlandtown, and is the hottest new luxury apartment community in the Canton zip code. Highland Haus is built with the high-end finishes you love, such as quartz counters, brushed nickel fixtures, ceramic tile floors, and rich wood cabinetry. In addition, you'll appreciate our environmentally friendly features, such as energy efficient appliances and utilities. Our community's amenities will include a state-of-the-art fitness center and a rooftop clubhouse with outdoor green space and a separate dog walking terrace. Highland Haus also provides storage for bikes, a pet-washing station and package lockers. Our highly qualified on-site management team is available to meet your needs.